Start your Auto Glass Replacement Claim Online Now! Some days it’s good to carry a $0 deductible auto glass replacement endorsement on your comprehensive insurance policy, other days, it’s fantastic! At, Glas Tek, we will pay you up to $150 Cash Back On The Spot with any no fault auto glass repair insurance claim in Arizona. This means, if you carry a $0 deductible on your insurance policy you will not only get your auto glass replaced for free but we will pay you up to $150 cash at the time of service. We accept and honor all insurance contract pricing so that there will never be any additional out-of-pocket costs for you or your insurance company. That’s right! We pay you and we do not up-charge your insurance company. We are a proud participant of all auto glass replacement programs including: American Family, State Farm, Allstate, Farmers, Liberty Mutual, Hartford, Progressive, Esurance, Geico, Kemper, Nationwide, USAA, AAA, and many many more. Claiming up to $150 CASH is EASY; call Glas Tek or File your Auto Glass Repair Claim Online and we will take care of the rest! 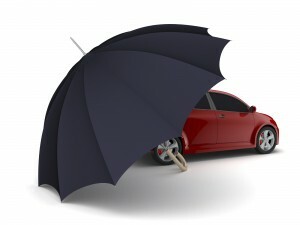 To qualify for the cash incentive of up to $150, the policy holder must carry full glass coverage on their auto insurance policy. Or, if you carry a deductible on your car insurance policy we will waive up to $150 dollars in lieu of the cash incentive. Full auto glass replacement coverage is included in most Arizona insurance policies because of low insurance premium costs. The State of Arizona mandates insurance companies to offer full auto glass replacement coverage on comprehensive insurance policies and the insurance premium typically only runs about $5-$10 a month. You can read more about the terms and conditions regarding this on our Insurance FAQ’s page. Insurance companies hire third-party glass administrators (TPA) to process auto glass replacement and repair claims on their behalf. They must ask several questions to open an auto glass claim which takes about 15 minutes or so. Auto glass replacement coverage is typically verified before an appointment can be made. 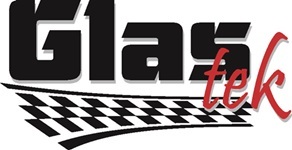 You can check out our auto glass program page to read about the commonly asked questions during the claim process. This will give you a better idea and understanding of the questions they will ask so that you are prepared to answer the their questions. For filing the auto glass replacement claim, the policy holder must be available to speak to the insurance representative. Auto glass replacement shops are no longer able to file windshield replacement claims on the policyholders’ behalf. We guide our customers to work with the third-party administrator from the insurance company so that you can save time and have a pleasant claim filing experience. It seldom takes more than 15 minutes to file a claim. You can also call us if you have any questions or concerns regarding the claim processing. Our local Phoenix professionals would be more than happy to serve you. Start your Auto Glass Insurance Claim Now! When you experience damage to your windshield, it is important for you to have the damage handled as quickly as possible. The right professionals will be sure to help you make all of the necessary replacements, but it is vital for you to secure an auto glass replacement insurance claim provider that will help work with your insurance company. We are one of the most reliable professionals available in Phoenix, Arizona, ready to help all of our clients and are an approved auto glass provider for all major insurance companies including Geico, Farmers, State Farm, American Family, Allstate, Progressive, Kemper, Nationwide, Alliance, Allied, USAA, Liberty Mutual, Hartford, and many more. No matter how extensive the damage is, we will be able to help you with a quality auto glass replacement insurance claim. When you file any windshield replacement or auto glass repair insurance claim with our company, we can provide you with additional incentive programs. 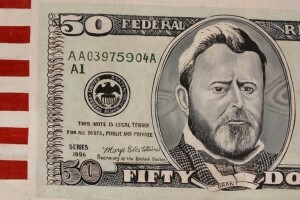 We will be ready to give you up to one hundred and fifty dollars instant cash back as long as you carry a zero dollar deductible glass replacement plan on your automobile insurance policy. This will be provided at the time of your servicing, and we always make sure to help put our clients’ minds at ease. When you work with us, you will never have to worry about any additional or hidden charges or expenses. Neither you nor your insurance company will be subject to any unpleasant surprises, and we make sure to honor all major insurance company fees and price plans. All Arizona residents will have the legal right to select the auto glass replacement shop where they will have their glass services. By law, all insurance representatives, in addition to all third party representatives, must let customers know of this right. We are one of the leading Phoenix auto glass replacement companies available in the local area, and most major insurance companies prefer to work with our services that we provide for our customers. We perform free valley wide mobile service throughout the Phoenix, Metro area including Glendale, Tempe, Scottsdale, Peoria, Goodyear, Avondale, San Tan Valley, Sun City, Surprise, Queen Creek, Apache Junction, Anthem, and many many more. Many customers may not know this, but Arizona is one of the only states that mandates all insurance companies to offer full auto glass replacement coverage on comprehensive insurance policies and offer a zero deductible. Because of this, auto glass replacement insurance coverage can be extremely affordable, costing vehicle owners only a few additional dollars a month. Your comprehensive policy may have a larger deductible for accident repairs or for body damage and still carry a glass waiver with a zero deductible. If you would like to learn more about your options, call us today and see how we can help.